This is a three stages iterative and incremental process ppt powerpoint presentation inspiration slide portrait. This is a three stage process. 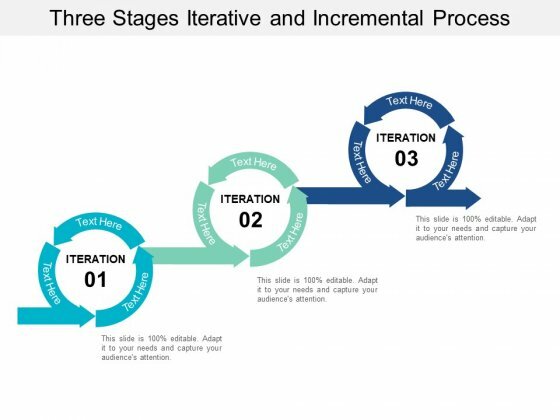 The stages in this process are iteration, iterative process, iterative approach. Our Three Stages Iterative And Incremental Process Ppt PowerPoint Presentation Inspiration Slide Portrait are known for a high level of consistency. It guarantees an impressive display. PPT team work person standing red blue PowerPoint template piece Templates-This PowerPoint Diagram shows you the Successive Representation of Eight approaches through people standing on puzzle pieces which are combined to form circle. It shows the successive concepts used in a procedure. You can change color, size and orientation of any icon to your liking.-PPT team work person standing red blue PowerPoint template piece Templates-arrow, bar, business, businessman, candidate, cartoon, character, chart, circle, circular, client, communication, company, concept, diagram, finance, financial, flow, growth, human, illustration, increase, information, iteration, man, market, marketing, process, processing, profit, sales, statistics, stats, success, target Clear the blocks for your thoughts. Open up the pipeline with our Ppt Team Work Person Standing Red Blue PowerPoint Template Piece Templates. Our Ppt Team Work Person Standing Red Blue PowerPoint Template Piece Templates team keep their eyes open. Always digging out new designs for you. PPT pie family tree chart PowerPoint 2003 person standing green piece Templates-The above Diagram displays a picture of eight circular text boxes placed in sequential manner. This image has been professionally designed to emphasize the concept of Operations performed in Circular process. Adjust the above image in your PPT presentations to visually support your content in your Business PPT slideshows.-PPT pie family tree chart PowerPoint 2003 person standing green piece Templates-arrow, bar, business, businessman, candidate, cartoon, character, chart, circle, circular, client, communication, company, concept, diagram, finance, financial, flow, growth, human, illustration, increase, information, iteration, man, market, marketing, process, processing, profit, sales, statistics, stats, success, target Embrace your dreams with our Ppt Pie Family Tree Chart PowerPoint 2003 Person Standing Green Piece Templates. They will come within your grasp. Drown doubts with our Ppt Pie Family Tree Chart PowerPoint 2003 Person Standing Green Piece Templates. You will come out on top. PPT pie Gantt chart PowerPoint template person standing red piece Templates-Develop competitive advantage with our above Diagram which contains a diagram of eight stages organized in Circular Manner. This Highlighted Pink text box shows the sixth step occurring in the process. It is a useful captivating tool enables you to define your message in your Marketing PPT presentations. 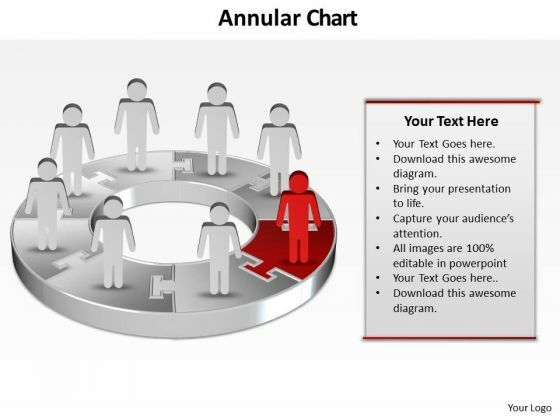 You can edit text, color, shade and style as per you need.-PPT pie Gantt chart PowerPoint template person standing red piece Templates-arrow, bar, business, businessman, candidate, cartoon, character, chart, circle, circular, client, communication, company, concept, diagram, finance, financial, flow, growth, human, illustration, increase, information, iteration, man, market, marketing, process, processing, profit, sales, statistics, stats, success, target Let us fulfil your presentation needs with our Ppt Pie Gantt Chart PowerPoint Template Person Standing Red Piece Templates. You will be at the top of your game. Define growth with our Ppt Pie Gantt Chart PowerPoint Template Person Standing Red Piece Templates. Download without worries with our money back guaranteee. PPT team effort person standing yellow piece of chart PowerPoint ks2 Templates-Use this Circular Arrow diagram to show activities that are related to the business plan metrics and monitor the results to determine if the business plan is proceeding as planned. You can apply other 3D Styles and shapes to the slide to enhance your presentations.-PPT team effort person standing yellow piece of chart PowerPoint ks2 Templates-arrow, bar, business, businessman, candidate, cartoon, character, chart, circle, circular, client, communication, company, concept, diagram, finance, financial, flow, growth, human, illustration, increase, information, iteration, man, market, marketing, process, processing, profit, sales, statistics, stats, success, target Feature your views with our Ppt Team Effort Person Standing Yellow Piece Of Chart PowerPoint Ks2 Templates. They will get the desired exposure. Our Ppt Team Effort Person Standing Yellow Piece Of Chart PowerPoint Ks2 Templates have a everlasting effect. They remain in the memory for ages. PPT team work person presentation standing orange piece of chart PowerPoint Templates-Use this graphical approach to represent global business issues such as financial data, stock market Exchange, increase in sales, corporate presentations and more. Create captivating presentations to deliver comparative and weighted arguments.-PPT team work person presentation standing orange piece of chart PowerPoint Templates-arrow, bar, business, businessman, candidate, cartoon, character, chart, circle, circular, client, communication, company, concept, diagram, finance, financial, flow, growth, human, illustration, increase, information, iteration, man, market, marketing, process, processing, profit, sales, statistics, stats, success, target Bounce back with our Ppt Team Work Person Presentation Standing Orange Piece Of Chart PowerPoint Templates. You will come out on top. Air your ideas on our Ppt Team Work Person Presentation Standing Orange Piece Of Chart PowerPoint Templates. They will reach the furthest corners. We present our strategy PPT linear abstraction by 6 arrows time management powerpoint 3 Image.Use our Advertising PowerPoint Templates because, Now you have to coordinate and motivate your team. Use our Arrows PowerPoint Templates because, now you need to get it all together to form the complete picture and reach the goal. Use our Marketing PowerPoint Templates because; Blaze a brilliant trail from point to point. Use our Business PowerPoint Templates because, Marketing Strategy Business Template:- Maximizing sales of your product is the intended destination. Use our Process and flows PowerPoint Templates because, Explain the various related aspects of these varied tracks and how they will, on hitting their own targets, cumulatively contribute to hitting GOLD. Use these PowerPoint slides for presentations relating to Arrows, business, chart, company,concept, continuity, continuous, cycle,diagram, direction, dynamic, graph,iteration, iterative, method, path, phase,presentation, process, production,progress, progression, recycle, recycling,report, rotation, sequence, stage, steps, succession. The prominent colors used in the PowerPoint template are Brown, Grey, and Black Your career will soar away. Our Strategy Ppt Linear Abstraction By 6 Arrows Time Management PowerPoint 3 Image will give it wings. Dosen't matter what the topic. Make it interesting with our Strategy Ppt Linear Abstraction By 6 Arrows Time Management PowerPoint 3 Image. You will be at the top of your game. We present our strategy PPT linear abstraction by 6 arrows time management powerpoint 4 Image.Use our Advertising PowerPoint Templates because, If making a mark is your obsession,. Use our Arrows PowerPoint Templates because, Foci' s on each one and investigate which one would be the best fit for your needs. Use our Marketing PowerPoint Templates because; Use them to help you organize the logic of your views. Use our Business PowerPoint Templates because, Marketing Strategy Business Template:- Maximizing sales of your product is the intended destination. Use our Process and flows PowerPoint Templates because, guaranteed to focus the minds of your team. Use these PowerPoint slides for presentations relating to Arrows, business, chart, company,concept, continuity, continuous, cycle,diagram, direction, dynamic, graph,iteration, iterative, method, path, phase,presentation, process, production,progress, progression, recycle, recycling,report, rotation, sequence, stage, steps, succession. The prominent colors used in the PowerPoint template are Yellow, Gray, and White Our Strategy Ppt Linear Abstraction By 6 Arrows Time Management PowerPoint 4 Image give you the clout. They add to the inherent authority of your ideas. Say goodbye to any fears with our Strategy Ppt Linear Abstraction By 6 Arrows Time Management PowerPoint 4 Image. They add on to your courage of conviction. 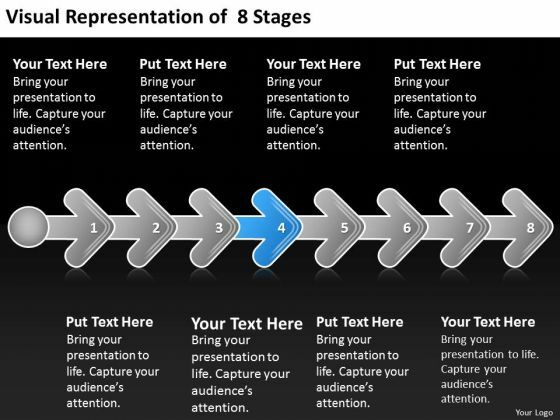 We present our PPT template evolution of 5 stages marketing plan corporate strategy PowerPoint 3 Image. Use our Marketing PowerPoint Templates because, inspired by the indelible Olympic logo this graphic exemplifies the benefits of teamwork. Use our Business PowerPoint Templates because, Marketing Strategy Business Template: - Maximizing sales of your product is the intended destination. Use our Arrows PowerPoint Templates because; illustrate your plans on using the many social media modes available to inform society at large of the benefits of your product. Use our Process and Flows PowerPoint Templates because, have always been a source of inspiration for us all. Use our Advertising PowerPoint Templates because; illustrate your thoughts and experiences to your staff. Use these PowerPoint slides for presentations relating to Arrows, Business, Chart, Company, Concept, Continuity, Continuous, Cycle, Diagram, Direction, Dynamic, Graph, Iteration, Iterative, Method, Path, Phase, Presentation, Process, Production, Progress, Progression, Recycle, Recycling, Report, Rotation, Sequence, Stage, Steps, Succession. The prominent colors used in the PowerPoint template are Brown, Gray, and Black You know you have the feel for it. Confidently address your audience with our Ppt Template Evolution Of 5 Stages Marketing Plan Corporate Strategy PowerPoint 3 Image. So far, so good is not enough. 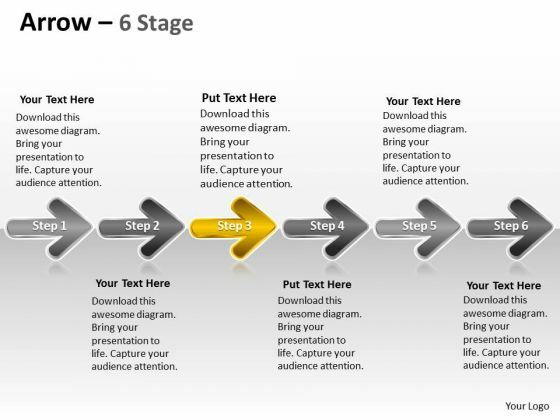 Go further and better with our Ppt Template Evolution Of 5 Stages Marketing Plan Corporate Strategy PowerPoint 3 Image. We present our PPT template evolution of 5 stages marketing plan corporate strategy PowerPoint 4 Image. Use our Marketing PowerPoint Templates because, you have the product you are very confident of and are very sure it will prove immensely popular with clients all over your target areas. Use our Business PowerPoint Templates because, this template with an image of helps you chart the course of your presentation. Use our Arrows PowerPoint Templates because, you know the path so show the way. Use our Process and Flows PowerPoint Templates because, to go for Gold and not just silver. Use our Advertising PowerPoint Templates because, you have some great folks working with you, thinking with you. Use these PowerPoint slides for presentations relating to Arrows, Business, Chart, Company, Concept, Continuity, Continuous, Cycle, Diagram, Direction, Dynamic, Graph, Iteration, Iterative, Method, Path, Phase, Presentation, Process, Production, Progress, Progression, Recycle, Recycling, Report, Rotation, Sequence, Stage, Steps, Succession. The prominent colors used in the PowerPoint template are Yellow, Gray, and Black Effective counselling can go a long way. 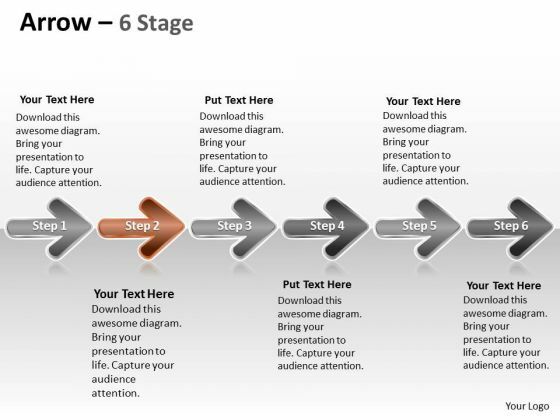 Our Ppt Template Evolution Of 5 Stages Marketing Plan Corporate Strategy PowerPoint 4 Image are equipped to convince. Our Ppt Template Evolution Of 5 Stages Marketing Plan Corporate Strategy PowerPoint 4 Image team do not have any fetish. They pay equal attention to every element. We present our visual representation of 8 stages 4 business plan for bar PowerPoint Slides.Use our Process and flow PowerPoint Templates because it have all to represent to your viewers. Download our Business PowerPoint Templates because the great Bald headed Eagle embodies your personality. the eagle eye to seize upon the smallest of opportunities. Download our Arrows PowerPoint Templates because there is a crucial aspect that requires extra attention. Present our Flow chart PowerPoint Templates because very often it is important to reflect on the basics. Download and present our Marketing PowerPoint Templates because customer satisfaction is a mantra of the marketplace. Building a loyal client base is an essential element of your business.Use these PowerPoint slides for presentations relating to Arrows, business, chart, company,concept, continuity, continuous, cycle,diagram, direction, dynamic, graph,iteration, iterative, method, path, phase,presentation, process, production,progress, progression, recycle, recycling,report, rotation, sequence, stage, steps. The prominent colors used in the PowerPoint template are Blue light, Gray, Black. PowerPoint presentation experts tell us our visual representation of 8 stages 4 business plan for bar PowerPoint Slides are Fashionable. PowerPoint presentation experts tell us our continuity PowerPoint templates and PPT Slides are Luxurious. You can be sure our visual representation of 8 stages 4 business plan for bar PowerPoint Slides are Fashionable. You can be sure our diagram PowerPoint templates and PPT Slides are Nostalgic. PowerPoint presentation experts tell us our visual representation of 8 stages 4 business plan for bar PowerPoint Slides have awesome images to get your point across. People tell us our company PowerPoint templates and PPT Slides are Tranquil. Scale mountains with our Visual Representation Of 8 Stages 4 Business Plan For Bar PowerPoint Slides. You will come out on top. Become a genius with our Visual Representation Of 8 Stages 4 Business Plan For Bar PowerPoint Slides. You will come out on top. We present our illustration of 6 stages in sequential manner flow Circular Diagram PowerPoint templates.Use our Process and Flows PowerPoint Templates because this slide depicts the occasion for gifting and giving. Present our Arrows PowerPoint Templates because it Creates a winner with your passion and dream. Present our Business PowerPoint Templates because you are sure you have the right people for your plans. Present our Circle Charts PowerPoint Templates because they have always been a source of inspiration for us all. Download our Future PowerPoint Templates because one pushes the other till it all comes back full circle.Use these PowerPoint slides for presentations relating to Arrows, business, chart, circle, company,concept, continuity, continuous, cycle,dependency, diagram, direction,dynamic, endless, feeds, graph,iteration, iterative, method, path, phase,presentation, process, production,progress, progression, report, rotation,sequence, succession. The prominent colors used in the PowerPoint template are Blue navy, White, Black. Customers tell us our illustration of 6 stages in sequential manner flow Circular Diagram PowerPoint templates are Exuberant. Customers tell us our continuous PowerPoint templates and PPT Slides are Wonderful. 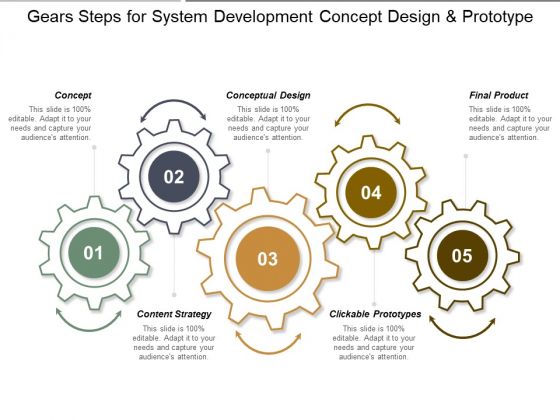 Customers tell us our illustration of 6 stages in sequential manner flow Circular Diagram PowerPoint templates are aesthetically designed to attract attention. We guarantee that they will grab all the eyeballs you need. People tell us our continuous PowerPoint templates and PPT Slides are aesthetically designed to attract attention. We guarantee that they will grab all the eyeballs you need. Customers tell us our illustration of 6 stages in sequential manner flow Circular Diagram PowerPoint templates are Pretty. Customers tell us our company PowerPoint templates and PPT Slides are Chic. Dont follow, lead the crowd with our Illustration Of 6 Stages In Sequential Manner Flow Circular Diagram PowerPoint Templates. Try us out and see what a difference our templates make. Correct wrongs with our Illustration Of 6 Stages In Sequential Manner Flow Circular Diagram PowerPoint Templates. Download without worries with our money back guaranteee. We present our 9 steps diverging concepts leading to one issue Cycle Chart PowerPoint templates.Download and present our Process and flows PowerPoint Templates because your group can behave steady in the top bracket. Present our Shapes PowerPoint Templates because it gives a core idea about various enveloping layers. Download and present our Circle charts PowerPoint Templates because this outlines the path you have in mind in order to boost sales and stay ahead of the competition enhancing your corporate reputation as you go along the road to success. Present our Signs PowerPoint Templates because our template will help pinpoint their viability. Present our Ring charts PowerPoint Templates because this diagram depicts the essence of this chain reaction like sequence of events.Use these PowerPoint slides for presentations relating to Arrows, business, chart, circle, company, concept, continuity, continuous, cycle, dependency, diagram, direction, dynamic, endless, feeds, graph, iteration, iterative, method, path, phase, presentation, process, production, progress, progression, report, rotation, sequence, succession. The prominent colors used in the PowerPoint template are Orange, Gray, White. You can be sure our 9 steps diverging concepts leading to one issue Cycle Chart PowerPoint templates are Clever. Presenters tell us our cycle PowerPoint templates and PPT Slides are Versatile. We assure you our 9 steps diverging concepts leading to one issue Cycle Chart PowerPoint templates are Striking. Customers tell us our continuous PowerPoint templates and PPT Slides are Energetic. 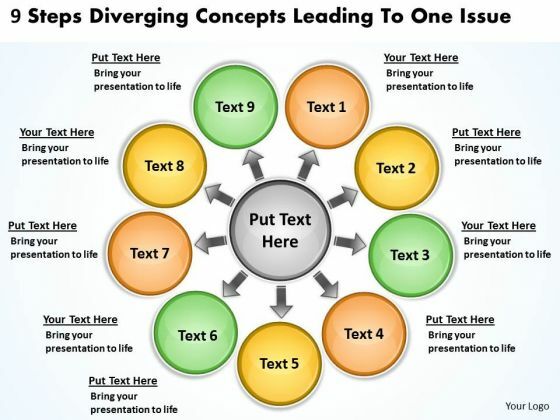 Presenters tell us our 9 steps diverging concepts leading to one issue Cycle Chart PowerPoint templates are Versatile. You can be sure our chart PowerPoint templates and PPT Slides will make the presenter successul in his career/life. Describe your path to success with our 9 Steps Diverging Concepts Leading To One Issue Cycle Chart PowerPoint Templates. You will come out on top. Spread assurance with our 9 Steps Diverging Concepts Leading To One Issue Cycle Chart PowerPoint Templates. Your audience will feel up to it. We present our 9 steps diverging concepts leading to one issue Cycle Motion Diagram PowerPoint Slides.Download our Circle charts PowerPoint Templates because using our templates for your colleagues will impart knowledge to feed. Download and present our Signs PowerPoint Templates because this template helps you to illustrate your method, piece by piece, and interlock the whole process in the minds of your audience. Use our Process and flows PowerPoint Templates because you can Help your viewers automatically emphathise with your thoughts. Download and present our Shapes PowerPoint Templates because all elements of the venture are equally critical. Use our Ring charts PowerPoint Templates because your brain is always churning out ideas like cogs in a wheel.Use these PowerPoint slides for presentations relating to Arrows, business, chart, circle, company, concept, continuity, continuous, cycle, dependency, diagram, direction, dynamic, endless, feeds, graph, iteration, iterative, method, path, phase, presentation, process, production, progress, progression, report, rotation, sequence, succession. The prominent colors used in the PowerPoint template are Orange, Black, White. You can be sure our 9 steps diverging concepts leading to one issue Cycle Motion Diagram PowerPoint Slides are Amazing. 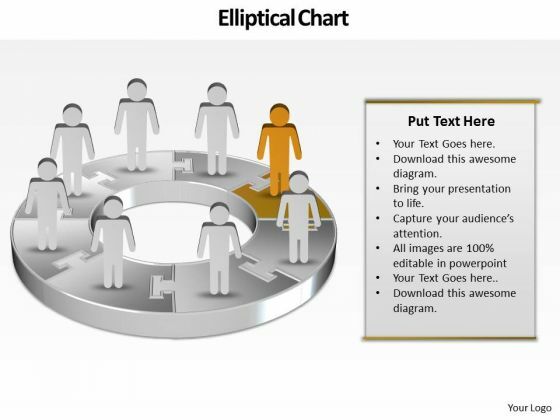 Presenters tell us our circle PowerPoint templates and PPT Slides are readymade to fit into any presentation structure. We assure you our 9 steps diverging concepts leading to one issue Cycle Motion Diagram PowerPoint Slides are Bright. Customers tell us our concept PowerPoint templates and PPT Slides are Beautiful. Presenters tell us our 9 steps diverging concepts leading to one issue Cycle Motion Diagram PowerPoint Slides are Royal. You can be sure our concept PowerPoint templates and PPT Slides are designed by a team of presentation professionals. Display a fair minded approach with our 9 Steps Diverging Concepts Leading To One Issue Cycle Motion Diagram PowerPoint Slides. Give due attention to all aspects. Our 9 Steps Diverging Concepts Leading To One Issue Cycle Motion Diagram PowerPoint Slides help you go against the clock. They provide the basic aids. We present our world business powerpoint templates procedure Cycle Layout Diagram.Download and present our Leadership PowerPoint Templates because you know Coincidentally it will always point to the top. Use our Arrows PowerPoint Templates because this slide can help to bullet point your views. Present our Process and Flows PowerPoint Templates because they are the indicators of the path you have in mind. Download and present our Business PowerPoint Templates because the fruits of your labour are beginning to show.Enlighten them on the great plans you have for their enjoyment. Present our Circle Charts PowerPoint Templates because knowledge is power goes the popular saying.Use these PowerPoint slides for presentations relating to Arrows, Business, Chart, Circle, Company, Concept, Continuity, Continuous, Cycle, Dependency, Diagram, Direction, Dynamic, Endless, Feeds, Graph, Iteration, Iterative, Method, Path, Phase, Presentation, Process, Production, Progress, Progression, Report, Rotation, Sequence, Succession, Vector. The prominent colors used in the PowerPoint template are White, Gray, Black. Customers tell us our world business powerpoint templates procedure Cycle Layout Diagram will get their audience's attention. PowerPoint presentation experts tell us our Cycle PowerPoint templates and PPT Slides are Efficacious. We assure you our world business powerpoint templates procedure Cycle Layout Diagram are Spectacular. Customers tell us our Cycle PowerPoint templates and PPT Slides are Stylish. We assure you our world business powerpoint templates procedure Cycle Layout Diagram are Fantastic. People tell us our Chart PowerPoint templates and PPT Slides provide great value for your money. Be assured of finding the best projection to highlight your words. Let your thoughts exert some pressure. 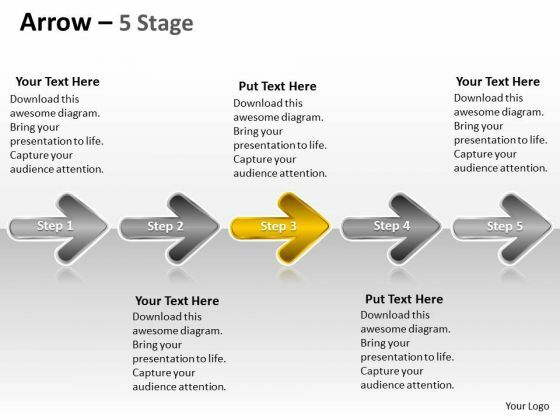 Our World Business PowerPoint Templates Procedure Cycle Layout Diagram will do the deed. Facing upto problems is part of it. Define the answers on our World Business PowerPoint Templates Procedure Cycle Layout Diagram. We present our 7 converging and diverging factors process flow Circular Layout Network PowerPoint Slides.Download and present our Arrows PowerPoint Templates because it shows the pyramid which is a symbol of the desire to reach the top in a steady manner. Download our Circle Charts PowerPoint Templates because this helps in epitomised the values of teamwork. Download and present our Shapes PowerPoint Templates because this graphics helps you to prove how they mesh to motivate the company team and provide the steam to activate the composite machine. Use our Business PowerPoint Templates because it will demonstrate the strength of character under severe stress. Shine the torch ahead and bring the light to shine on all. Use our Flow Charts PowerPoint Templates because there is a crucial aspect that requires extra attention.Use these PowerPoint slides for presentations relating to arrows, business, chart, circle, company, concept, continuity, continuous, cycle, dependency, diagram, direction, dynamic, endless, feeds, graph, iteration, iterative, method, path, phase, presentation, process, production, progress, progression, report, rotation, sequence, succession, vector. The prominent colors used in the PowerPoint template are Red, Pink, Yellow. Presenters tell us our 7 converging and diverging factors process flow Circular Layout Network PowerPoint Slides are Nostalgic. 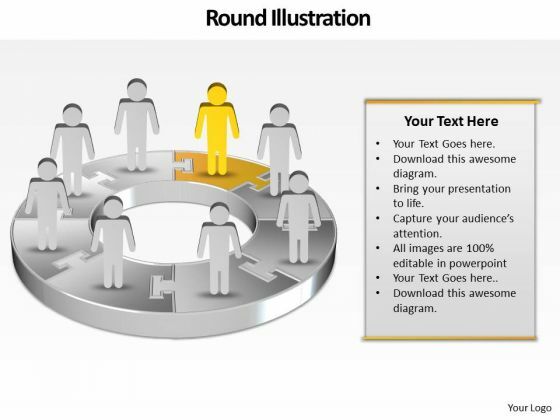 You can be sure our circle PowerPoint templates and PPT Slides are readymade to fit into any presentation structure. Professionals tell us our 7 converging and diverging factors process flow Circular Layout Network PowerPoint Slides are Striking. People tell us our company PowerPoint templates and PPT Slides are topically designed to provide an attractive backdrop to any subject. People tell us our 7 converging and diverging factors process flow Circular Layout Network PowerPoint Slides are Pleasant. Professionals tell us our cycle PowerPoint templates and PPT Slides are Quaint. Impress your organization with our 7 Converging And Diverging Factors Process Flow Circular Layout Network PowerPoint Slides. Make sure your presentation gets the attention it deserves. Chip away with our 7 Converging And Diverging Factors Process Flow Circular Layout Network PowerPoint Slides. The beauty of your thoughts will soon emerge. We present our 8 colorful diverging sections forming a circle Circular Layout Network PowerPoint Slides.Present our Circle Charts PowerPoint Templates because you are the Champion of your team shall anoint. Use our Abstract PowerPoint Templates because with the help of our Slides you can Illustrate your plans to your listeners with the same accuracy. Present our Arrows PowerPoint Templates because you can Highlight the key components of your entire manufacturing/ business process. Present our Business PowerPoint Templates because you can Flutter your wings and enchant the world. Impress them with the innate attractiveness of your thoughts and words. Download our Flow Charts PowerPoint Templates because you should take your team soaring to the pinnacle they crave.Use these PowerPoint slides for presentations relating to arrows, business, chart, circle, company, concept, continuity, continuous, cycle, dependency, diagram, direction, dynamic, endless, feeds, graph, iteration, iterative, method, path, phase, presentation, process, production, progress, progression, report, rotation, sequence, succession, vector. The prominent colors used in the PowerPoint template are Red, Pink, Yellow. Presenters tell us our 8 colorful diverging sections forming a circle Circular Layout Network PowerPoint Slides are Amazing. You can be sure our company PowerPoint templates and PPT Slides are Vintage. 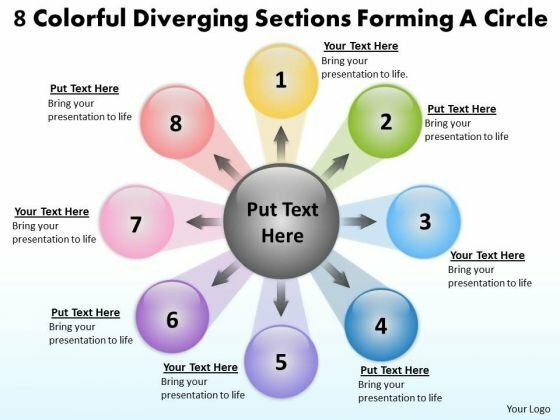 Professionals tell us our 8 colorful diverging sections forming a circle Circular Layout Network PowerPoint Slides effectively help you save your valuable time. People tell us our circle PowerPoint templates and PPT Slides are Excellent. People tell us our 8 colorful diverging sections forming a circle Circular Layout Network PowerPoint Slides are Splendid. Professionals tell us our continuous PowerPoint templates and PPT Slides are Whimsical. Don't drain your energy. Save it with our 8 Colorful Diverging Sections Forming A Circle Circular Layout Network PowerPoint Slides. You will come out on top. Get on a accelerated career track with our 8 Colorful Diverging Sections Forming A Circle Circular Layout Network PowerPoint Slides. They will make you look good. We present our 10 stages converging business process ppt Circular Layout Network PowerPoint templates.Download our Circle Charts PowerPoint Templates because you will be able to Highlight these individual targets and the paths to their achievement. Present our Arrows PowerPoint Templates because it unravels each one for your audience while setting key timelines as you go along. Use our Ring Charts PowerPoint Templates because this diagram helps in examine each brilliant thought in thorough detail highlighting all the pros and cons as minutely as possible. Present our Business PowerPoint Templates because a lot of dissimilar elements needing to gel to strike the deal. Download and present our Flow Charts PowerPoint Templates because the vision of being the market leader is clear to you.Use these PowerPoint slides for presentations relating to arrows, business, chart, circle, company, concept, continuity, continuous, cycle, dependency, diagram, direction, dynamic, endless, feeds, graph, iteration, iterative, method, path, phase, presentation, process, production, progress, progression, report, rotation, sequence, succession, vector. The prominent colors used in the PowerPoint template are Yellow, Green, Gray. Presenters tell us our 10 stages converging business process ppt Circular Layout Network PowerPoint templates are Attractive. You can be sure our concept PowerPoint templates and PPT Slides are Swanky. Professionals tell us our 10 stages converging business process ppt Circular Layout Network PowerPoint templates are Elegant. People tell us our company PowerPoint templates and PPT Slides help you meet deadlines which are an element of today's workplace. Just browse and pick the slides that appeal to your intuitive senses. 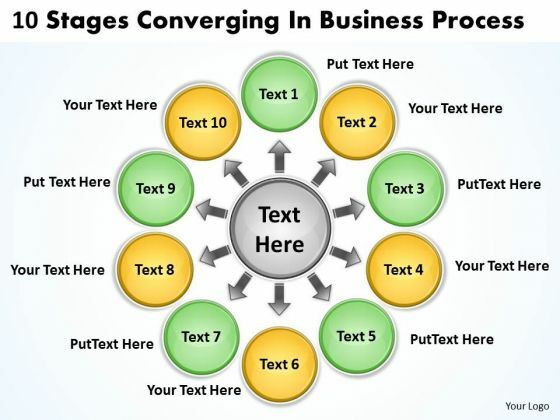 People tell us our 10 stages converging business process ppt Circular Layout Network PowerPoint templates are Chic. Professionals tell us our chart PowerPoint templates and PPT Slides are Perfect. 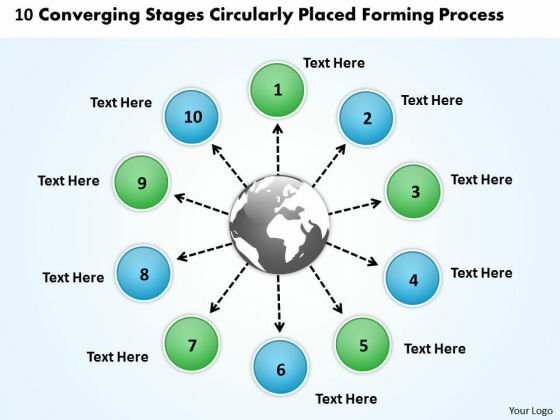 Paint the canvas with our 10 Stages Converging Business Process Ppt Circular Layout Network PowerPoint Templates. Just download, type and present. Empowerment is the aim of our 10 Stages Converging Business Process Ppt Circular Layout Network PowerPoint Templates. They put their all behind your thoughts. We present our 11 stages representing diverging circular flow chart ppt Cycle Process PowerPoint templates.Present our Circle Charts PowerPoint Templates because they will Amplify your basic corporate concept and forefront the benefits of overlapping processes to arrive at common goals. Download and present our Arrows PowerPoint Templates because this slide is an excellent backdrop for you to enlighten your audience on the process you have gone through and the vision you have for the future. Use our Ring Charts PowerPoint Templates because your listeners do not have to put on their thinking caps. Download and present our Business PowerPoint Templates because it helps you to project your enthusiasm and single mindedness to your colleagues. Use our Flow Charts PowerPoint Templates because you have examined every element down to the finest detail.Use these PowerPoint slides for presentations relating to arrows, business, chart, circle, company, concept, continuity, continuous, cycle, dependency, diagram, direction, dynamic, endless, feeds, graph, iteration, iterative, method, path, phase, presentation, process, production, progress, progression, report, rotation, sequence, succession, vector. The prominent colors used in the PowerPoint template are Green, Blue, Gray. Presenters tell us our 11 stages representing diverging circular flow chart ppt Cycle Process PowerPoint templates are Pleasant. You can be sure our cycle PowerPoint templates and PPT Slides will get their audience's attention. Professionals tell us our 11 stages representing diverging circular flow chart ppt Cycle Process PowerPoint templates are Flirty. 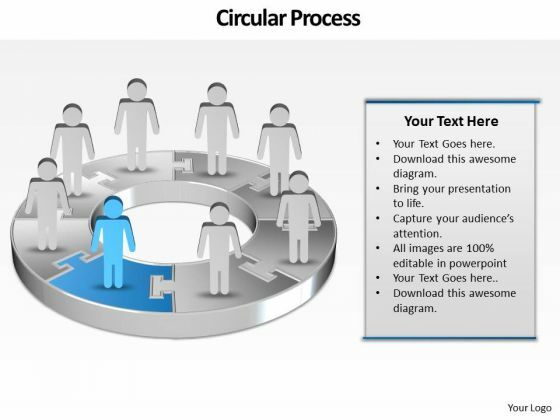 People tell us our circle PowerPoint templates and PPT Slides will save the presenter time. 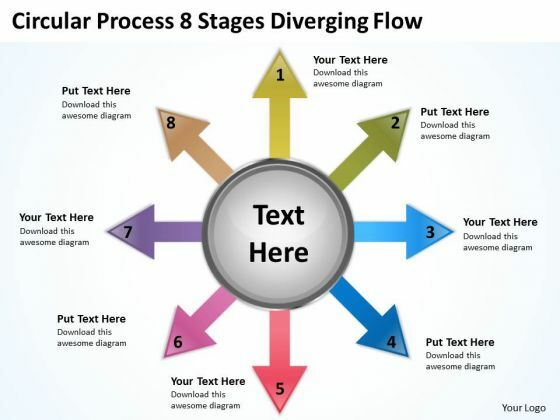 People tell us our 11 stages representing diverging circular flow chart ppt Cycle Process PowerPoint templates are aesthetically designed to attract attention. We guarantee that they will grab all the eyeballs you need. Professionals tell us our circle PowerPoint templates and PPT Slides are Playful. Be fantastic with our 11 Stages Representing Diverging Circular Flow Chart Ppt Cycle Process PowerPoint Templates. Give a boost to your creativity. 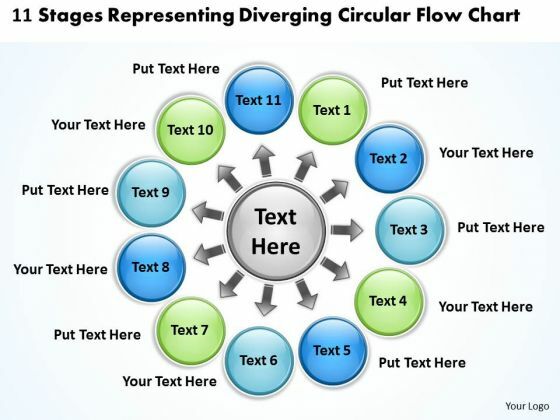 Find the perfect fit with our 11 Stages Representing Diverging Circular Flow Chart Ppt Cycle Process PowerPoint Templates. Try us out and see what a difference our templates make. We present our and diverging 8 step circular process Relative Cycle Arrow Network PowerPoint Slides.Present our Circle Charts PowerPoint Templates because with the help of our Slides you can Illustrate your plans to your listeners with the same accuracy. Download our Arrows PowerPoint Templates because you are buzzing with ideas. Present our Globe PowerPoint Templates because the colour coding of our templates are specifically designed to highlight you points. Download and present our Business PowerPoint Templates because you can Flutter your wings and enchant the world. Impress them with the innate attractiveness of your thoughts and words. Use our Flow Charts PowerPoint Templates because you have a handle on all the targets, a master of the game, the experienced and consummate juggler.Use these PowerPoint slides for presentations relating to arrows, business, chart, circle, company, concept, continuity, continuous, cycle, dependency, diagram, direction, dynamic, endless, feeds, graph, iteration, iterative, method, path, phase, presentation, process, production, progress, progression, report, rotation, sequence, succession, vector. The prominent colors used in the PowerPoint template are Red, Yellow, Green. Presenters tell us our and diverging 8 step circular process Relative Cycle Arrow Network PowerPoint Slides are Nifty. You can be sure our company PowerPoint templates and PPT Slides help you meet deadlines which are an element of today's workplace. Just browse and pick the slides that appeal to your intuitive senses. Professionals tell us our and diverging 8 step circular process Relative Cycle Arrow Network PowerPoint Slides are Elevated. People tell us our circle PowerPoint templates and PPT Slides are Colorful. People tell us our and diverging 8 step circular process Relative Cycle Arrow Network PowerPoint Slides are visually appealing. Professionals tell us our chart PowerPoint templates and PPT Slides will impress their bosses and teams. You will rarely find fault with our And Diverging 8 Step Circular Process Relative Cycle Arrow Network PowerPoint Slides. They are designed by a fastidious team. Your audience will take a fancy to our And Diverging 8 Step Circular Process Relative Cycle Arrow Network PowerPoint Slides. They will create the desire for more. We present our circular 12 steps diverging and converging diagram ppt Process PowerPoint Slides.Use our Arrows PowerPoint Templates because it will demonstrate the strength of character under severe stress. Shine the torch ahead and bring the light to shine on all. Use our Circle Charts PowerPoint Templates because this PPt slide helps you to measure key aspects of the current process and collect relevant data. Present our Shapes PowerPoint Templates because you have configured your targets, identified your goals as per priority and importance. Use our Business PowerPoint Templates because this slide will fire away with all the accuracy at your command. Download and present our Flow Charts PowerPoint Templates because this slide brings grey areas to the table and explain in detail you assessment of the need for care to ensure continued smooth progress.Use these PowerPoint slides for presentations relating to arrows, business, chart, circle, company, concept, continuity, continuous, cycle, dependency, diagram, direction, dynamic, endless, feeds, graph, iteration, iterative, method, path, phase, presentation, process, production, progress, progression, report, rotation, sequence, succession, vector. The prominent colors used in the PowerPoint template are Green, Blue, Gray. Presenters tell us our circular 12 steps diverging and converging diagram ppt Process PowerPoint Slides are readymade to fit into any presentation structure. You can be sure our continuity PowerPoint templates and PPT Slides are designed to make your presentations professional. 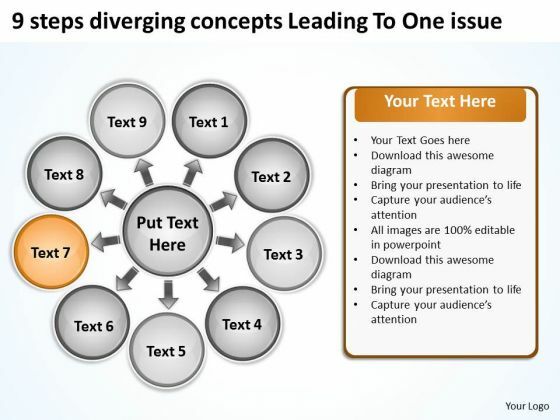 Professionals tell us our circular 12 steps diverging and converging diagram ppt Process PowerPoint Slides are Bright. People tell us our continuous PowerPoint templates and PPT Slides are Festive. 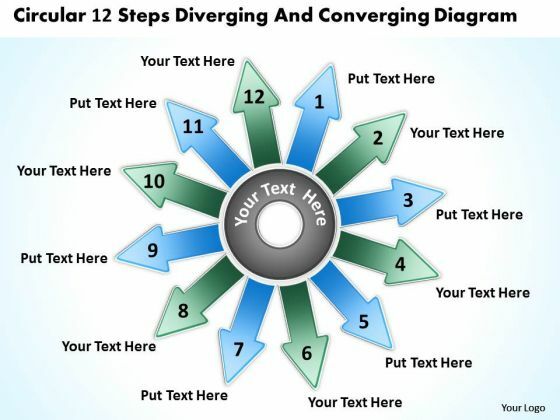 People tell us our circular 12 steps diverging and converging diagram ppt Process PowerPoint Slides are Tasteful. Professionals tell us our continuous PowerPoint templates and PPT Slides are Nostalgic. 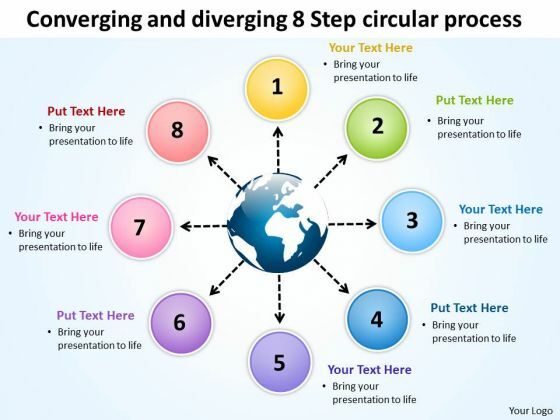 Encourage teams with our Circular 12 Steps Diverging And Converging Diagram Ppt Process PowerPoint Slides. Download without worries with our money back guaranteee. Let your ideas spread like wildfire. 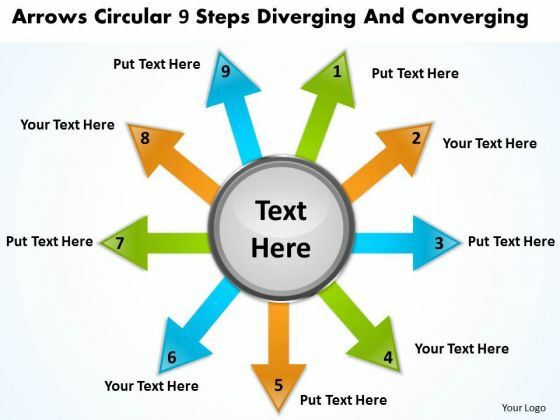 Fan the flames with our Circular 12 Steps Diverging And Converging Diagram Ppt Process PowerPoint Slides. We present our circular process 8 stages diverging flow Cycle Chart PowerPoint Slides.Use our Arrows PowerPoint Templates because it Shines the light on your thoughts and motivates your team to improve the quality of celebration for all around you. 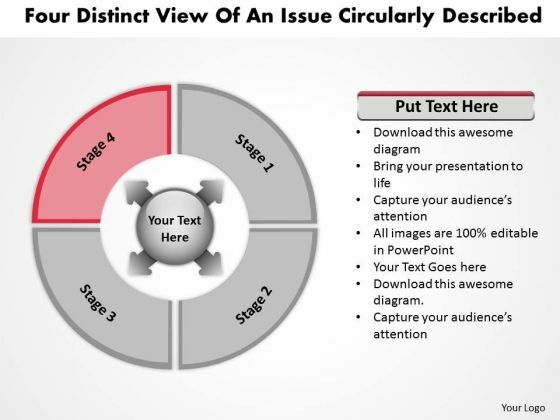 Download our Circle Charts PowerPoint Templates because this slide is Designed to help bullet-point your views and thoughts. Download and present our Shapes PowerPoint Templates because business ethics is an essential element in your growth. Download our Business PowerPoint Templates because your fledgling career is in the chrysallis stage. Nurture it and watch it grow into a beautiful butterfly. Download our Flow Charts PowerPoint Templates because you can Flutter your wings and enchant the world. Impress them with the innate attractiveness of your thoughts and words.Use these PowerPoint slides for presentations relating to arrows, business, chart, circle, company, concept, continuity, continuous, cycle, dependency, diagram, direction, dynamic, endless, feeds, graph, iteration, iterative, method, path, phase, presentation, process, production, progress, progression, report, rotation, sequence, succession, vector. The prominent colors used in the PowerPoint template are Red, Pink, Purple. Presenters tell us our circular process 8 stages diverging flow Cycle Chart PowerPoint Slides are Enchanting. You can be sure our continuity PowerPoint templates and PPT Slides are Zippy. Professionals tell us our circular process 8 stages diverging flow Cycle Chart PowerPoint Slides are Enchanting. People tell us our circle PowerPoint templates and PPT Slides are Nifty. People tell us our circular process 8 stages diverging flow Cycle Chart PowerPoint Slides are Gorgeous. Professionals tell us our circle PowerPoint templates and PPT Slides are Zippy. Deliver your address to your congregation. Give them a glimpse of the divine with our Circular Process 8 Stages Diverging Flow Cycle Chart PowerPoint Slides. Experience the aesthetics of our Circular Process 8 Stages Diverging Flow Cycle Chart PowerPoint Slides. They are created with brilliant design sense. We present our continual illustration of 6 approach using arrows Pie Diagram PowerPoint templates.Present our Arrows PowerPoint Templates because this diagram helps you to harness the opportunities, celebrate your performance till date and focus on greater growth and expansion in coming years. Download our Hexagon PowerPoint Templates because you can Show them how you can save the day. Download our Shapes PowerPoint Templates because you have to coordinate and motivate your team. Download our Business PowerPoint Templates because your fledgling career is in the chrysallis stage. Nurture it and watch it grow into a beautiful butterfly. Present our Flow Charts PowerPoint Templates because Our Template designs are State of the Art.Use these PowerPoint slides for presentations relating to arrows, business, chart, circle, company, concept, continuity, continuous, cycle, dependency, diagram, direction, dynamic, endless, feeds, graph, iteration, iterative, method, path, phase, presentation, process, production, progress, progression, report, rotation, sequence, succession, vector. The prominent colors used in the PowerPoint template are Blue, Pink, Purple. Presenters tell us our continual illustration of 6 approach using arrows Pie Diagram PowerPoint templates are Wistful. You can be sure our company PowerPoint templates and PPT Slides are Luxuriant. 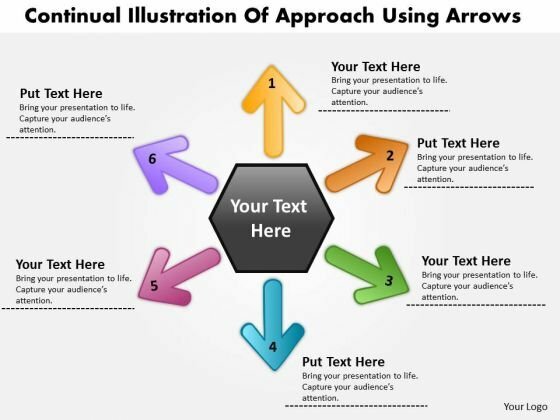 Professionals tell us our continual illustration of 6 approach using arrows Pie Diagram PowerPoint templates are incredible easy to use. People tell us our chart PowerPoint templates and PPT Slides provide great value for your money. Be assured of finding the best projection to highlight your words. 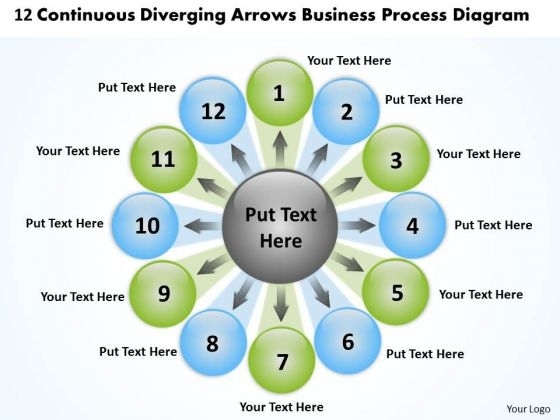 People tell us our continual illustration of 6 approach using arrows Pie Diagram PowerPoint templates are Striking. Professionals tell us our cycle PowerPoint templates and PPT Slides are Endearing. 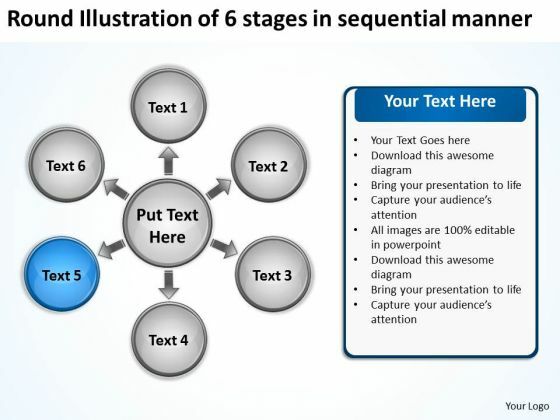 Marry great content with great graphics with our Continual Illustration Of 6 Approach Using Arrows Pie Diagram PowerPoint Templates. You will be at the top of your game. 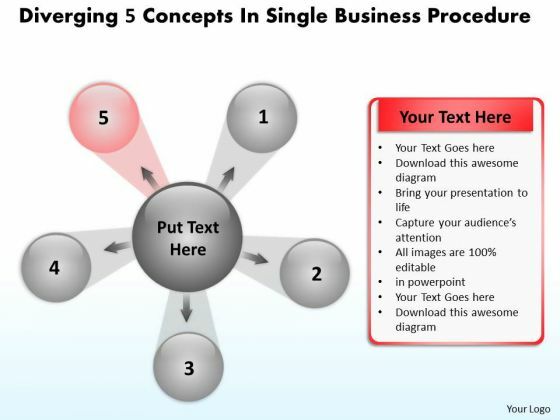 Our Continual Illustration Of 6 Approach Using Arrows Pie Diagram PowerPoint Templates come at a comfortable cost. They are definitely an economical choice. We present our continuous diverging arrows business process diagram Cycle PowerPoint templates.Download and present our Circle Charts PowerPoint Templates because they help to lay the base of your trend of thought. Download our Abstract PowerPoint Templates because your findings are here to help arrive at an accurate diagnosis. Download our Arrows PowerPoint Templates because there are a bucketful of brilliant ideas swirling around within your group. Present our Business PowerPoint Templates because you can see clearly through to the bigger bowl ahead. Time your jump to perfection and hit the nail on the head. Download our Flow Charts PowerPoint Templates because this helps in epitomised the values of teamwork.Use these PowerPoint slides for presentations relating to arrows, business, chart, circle, company, concept, continuity, continuous, cycle, dependency, diagram, direction, dynamic, endless, feeds, graph, iteration, iterative, method, path, phase, presentation, process, production, progress, progression, report, rotation, sequence, succession, vector. The prominent colors used in the PowerPoint template are Blue, Green, Gray. Presenters tell us our continuous diverging arrows business process diagram Cycle PowerPoint templates are Bright. You can be sure our continuity PowerPoint templates and PPT Slides are Striking. Professionals tell us our continuous diverging arrows business process diagram Cycle PowerPoint templates are Swanky. People tell us our concept PowerPoint templates and PPT Slides are Glamorous. People tell us our continuous diverging arrows business process diagram Cycle PowerPoint templates are Appealing. Professionals tell us our cycle PowerPoint templates and PPT Slides are Spectacular. Let the audience experience the beauty of our Continuous Diverging Arrows Business Process Diagram Cycle PowerPoint Templates. They will be beholden to you. Convincing an audience can be demanding. Assert your credibilitywith our Continuous Diverging Arrows Business Process Diagram Cycle PowerPoint Templates. We present our diverging 11 steps around globe process flow ppt Circular Motion Chart PowerPoint templates.Present our Circle Charts PowerPoint Templates because you can Be the cynosure of all eyes with our template depicting . Download our Arrows PowerPoint Templates because they will Amplify your thoughts via our appropriate templates. Download our Globe PowerPoint Templates because the ideas and plans are on your finger tips. Download our Business PowerPoint Templates because you have selected your team man for man. Download and present our Flow Charts PowerPoint Templates because it helps you to take your team up to a higher level with your thoughts.Use these PowerPoint slides for presentations relating to arrows, business, chart, circle, company, concept, continuity, continuous, cycle, dependency, diagram, direction, dynamic, endless, feeds, graph, iteration, iterative, method, path, phase, presentation, process, production, progress, progression, report, rotation, sequence, succession, vector. The prominent colors used in the PowerPoint template are Blue, Green, White. Presenters tell us our diverging 11 steps around globe process flow ppt Circular Motion Chart PowerPoint templates help you meet deadlines which are an element of today's workplace. Just browse and pick the slides that appeal to your intuitive senses. You can be sure our continuity PowerPoint templates and PPT Slides are designed by professionals Professionals tell us our diverging 11 steps around globe process flow ppt Circular Motion Chart PowerPoint templates are Energetic. People tell us our concept PowerPoint templates and PPT Slides are Wistful. People tell us our diverging 11 steps around globe process flow ppt Circular Motion Chart PowerPoint templates are Bright. Professionals tell us our continuous PowerPoint templates and PPT Slides are Nifty. Our Diverging 11 Steps Around Globe Process Flow Ppt Circular Motion Chart PowerPoint Templates create presentations that blow your audience away. With our money back guarantee you have nothing to lose. Avoid delays with our Diverging 11 Steps Around Globe Process Flow Ppt Circular Motion Chart PowerPoint Templates. They accelerate your thought process. We present our diverging and converging process 8 stages Cycle Diagram PowerPoint Slides.Download and present our Circle Charts PowerPoint Templates because you have the ideas, you have got a brainwave. Download and present our Arrows PowerPoint Templates because it highlights the important timelines and milestones of this exciting journey. Use our Shapes PowerPoint Templates because our creative template will lay down your views. Use our Business PowerPoint Templates because this layout helps you to bring some important aspects of your business process to the notice of all concerned. Streamline the flow of information across the board. Use our Flow Charts PowerPoint Templates because there is a key aspect to be emphasised.Use these PowerPoint slides for presentations relating to arrows, business, chart, circle, company, concept, continuity, continuous, cycle, dependency, diagram, direction, dynamic, endless, feeds, graph, iteration, iterative, method, path, phase, presentation, process, production, progress, progression, report, rotation, sequence, succession, vector. The prominent colors used in the PowerPoint template are Green, Blue, Pink. Presenters tell us our diverging and converging process 8 stages Cycle Diagram PowerPoint Slides are Chic. You can be sure our chart PowerPoint templates and PPT Slides will make the presenter successul in his career/life. Professionals tell us our diverging and converging process 8 stages Cycle Diagram PowerPoint Slides are Fabulous. People tell us our continuity PowerPoint templates and PPT Slides are Charming. People tell us our diverging and converging process 8 stages Cycle Diagram PowerPoint Slides are Classic. Professionals tell us our circle PowerPoint templates and PPT Slides are Breathtaking. Battle it out with our Diverging And Converging Process 8 Stages Cycle Diagram PowerPoint Slides. You will come out on top. 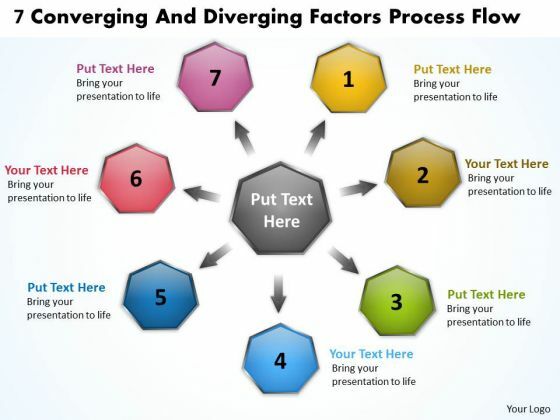 Cultivate the audience with our Diverging And Converging Process 8 Stages Cycle Diagram PowerPoint Slides. The bond between you will grow. We present our layout of converging 12 steps linear flow ppt Cycle Process PowerPoint Slides.Download and present our Circle Charts PowerPoint Templates because let your words be the drops of wisdom spreading knowledge and peace like ripples through the expectant minds of your devoted followers. Use our Arrows PowerPoint Templates because you know what it takes to keep it fit and healthy. Use our Shapes PowerPoint Templates because getting it done in time is the key to success. Use our Business PowerPoint Templates because you have had a great year or so business wise. It is time to celebrate the efforts of your team. Download and present our Flow Charts PowerPoint Templates because a healthy person is the esence of a sense of happiness.Use these PowerPoint slides for presentations relating to arrows, business, chart, circle, company, concept, continuity, continuous, cycle, dependency, diagram, direction, dynamic, endless, feeds, graph, iteration, iterative, method, path, phase, presentation, process, production, progress, progression, report, rotation, sequence, succession, vector. The prominent colors used in the PowerPoint template are Blue, Blue navy, Gray. Presenters tell us our layout of converging 12 steps linear flow ppt Cycle Process PowerPoint Slides will make the presenter successul in his career/life. You can be sure our company PowerPoint templates and PPT Slides are Radiant. 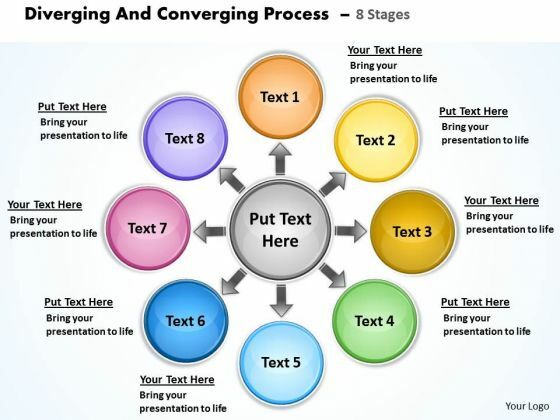 Professionals tell us our layout of converging 12 steps linear flow ppt Cycle Process PowerPoint Slides are Fantastic. People tell us our chart PowerPoint templates and PPT Slides are Functional. People tell us our layout of converging 12 steps linear flow ppt Cycle Process PowerPoint Slides are Exuberant. Professionals tell us our company PowerPoint templates and PPT Slides are Magnificent. Do not go purely by the face value of our Layout Of Converging 12 Steps Linear Flow Ppt Cycle Process PowerPoint Slides. Dwell on them and you will discover lot's more. 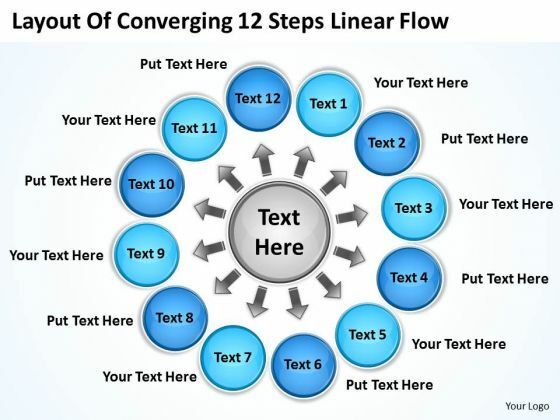 Our Layout Of Converging 12 Steps Linear Flow Ppt Cycle Process PowerPoint Slides are clear and concise. Your assessment will be completely accurate. We present our circular 9 steps diverging and converging Flow Network PowerPoint Slides.Use our Arrows PowerPoint Templates because this will helps you to explore the minutest detail of each concept and follow the trail to its conclusion. Download and present our Circle Charts PowerPoint Templates because your foot is on the pedal and your company is purring along smoothly. Present our Shapes PowerPoint Templates because you can enlighten your skills with the help of our topical templates. Download our Business PowerPoint Templates because your fledgling career is in the chrysallis stage. Nurture it and watch it grow into a beautiful butterfly. Download and present our Flow Charts PowerPoint Templates because it have all to represent to your viewers.Use these PowerPoint slides for presentations relating to arrows, business, chart, circle, company, concept, continuity, continuous, cycle, dependency, diagram, direction, dynamic, endless, feeds, graph, iteration, iterative, method, path, phase, presentation, process, production, progress, progression, report, rotation, sequence, succession, vector. The prominent colors used in the PowerPoint template are Green, Orange, Blue. Presenters tell us our circular 9 steps diverging and converging Flow Network PowerPoint Slides are Fantastic. You can be sure our company PowerPoint templates and PPT Slides are Classic. 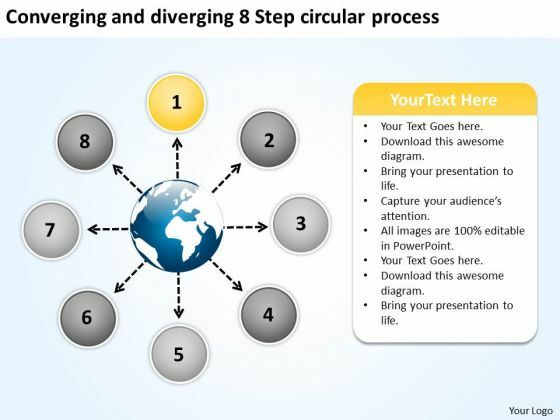 Professionals tell us our circular 9 steps diverging and converging Flow Network PowerPoint Slides are Delightful. People tell us our continuity PowerPoint templates and PPT Slides are Attractive. People tell us our circular 9 steps diverging and converging Flow Network PowerPoint Slides are Whimsical. Professionals tell us our chart PowerPoint templates and PPT Slides are Precious. Excel at the dais with our Circular 9 Steps Diverging And Converging Flow Network PowerPoint Slides. Better the best with your ideas. Review your plans with our Circular 9 Steps Diverging And Converging Flow Network PowerPoint Slides. Download without worries with our money back guaranteee. We present our linear abstraction of 5 concepts using circular boxes Cycle Flow Process PowerPoint Slides.Download and present our Circle Charts PowerPoint Templates because they are the stepping stones of our journey till date. Download and present our Arrows PowerPoint Templates because You have belief amd faith in your futuristic plans. Chalk them out for your team with our PowerPoint Templates and Slides. Download our Shapes PowerPoint Templates because you have the basic goal in mind. Use our Business PowerPoint Templates because it will demonstrate the strength of character under severe stress. Shine the torch ahead and bring the light to shine on all. Download our Flow Charts PowerPoint Templates because you know your business and have a vision for it.Use these PowerPoint slides for presentations relating to arrows, business, chart, circle, company, concept, continuity, continuous, cycle, dependency, diagram, direction, dynamic, endless, feeds, graph, iteration, iterative, method, path, phase, presentation, process, production, progress, progression, report, rotation, sequence, succession, vector. The prominent colors used in the PowerPoint template are Blue, Red, Pink. Presenters tell us our linear abstraction of 5 concepts using circular boxes Cycle Flow Process PowerPoint Slides are Luxuriant. You can be sure our continuous PowerPoint templates and PPT Slides are Nostalgic. Professionals tell us our linear abstraction of 5 concepts using circular boxes Cycle Flow Process PowerPoint Slides help you meet deadlines which are an element of today's workplace. Just browse and pick the slides that appeal to your intuitive senses. People tell us our company PowerPoint templates and PPT Slides will get their audience's attention. People tell us our linear abstraction of 5 concepts using circular boxes Cycle Flow Process PowerPoint Slides will get their audience's attention. Professionals tell us our chart PowerPoint templates and PPT Slides are Gorgeous. Change behavior with our Linear Abstraction Of 5 Concepts Using Circular Boxes Cycle Flow Process PowerPoint Slides. Just download, type and present. 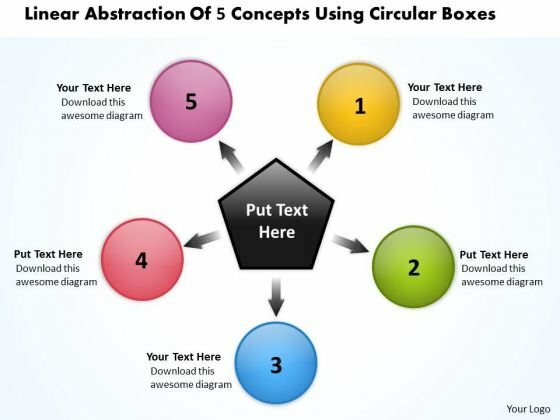 Guide your ambitions with our Linear Abstraction Of 5 Concepts Using Circular Boxes Cycle Flow Process PowerPoint Slides. You will come out on top. We present our stages circularly placed forming process Flow PowerPoint Slides.Use our Circle Charts PowerPoint Templates because you have had your share of being a goldfish in a small bowl.you are ready to launch out and spread your wings. Present our Arrows PowerPoint Templates because You have found the one missing link in the picture. That one strand that will bring together the entire edifice. Put it out there for all to see. Emphasise the value of its contribution in propelling the venture forward. Use our Globe PowerPoint Templates because different people with differing ideas and priorities perform together to score. Present our Business PowerPoint Templates because you can Flutter your wings and enchant the world. Impress them with the innate attractiveness of your thoughts and words. Use our Flow Charts PowerPoint Templates because it gives a core idea about various enveloping layers.Use these PowerPoint slides for presentations relating to arrows, business, chart, circle, company, concept, continuity, continuous, cycle, dependency, diagram, direction, dynamic, endless, feeds, graph, iteration, iterative, method, path, phase, presentation, process, production, progress, progression, report, rotation, sequence, succession, vector. The prominent colors used in the PowerPoint template are Green, Blue, White. Presenters tell us our stages circularly placed forming process Flow PowerPoint Slides are Fantastic. You can be sure our chart PowerPoint templates and PPT Slides are Tasteful. Professionals tell us our stages circularly placed forming process Flow PowerPoint Slides are Ritzy. People tell us our continuity PowerPoint templates and PPT Slides are Ultra. People tell us our stages circularly placed forming process Flow PowerPoint Slides are Spiffy. Professionals tell us our company PowerPoint templates and PPT Slides are Tranquil. Bash on ahead with bold conviction. Have no fear with our Stages Circularly Placed Forming Process Flow PowerPoint Slides. Be a creative problem-solver with our Stages Circularly Placed Forming Process Flow PowerPoint Slides. They will make you look good. We present our distinct view of an issue circularly described Flow Process PowerPoint templates.Present our Arrows PowerPoint Templates because you have the basic goal in mind. Use our Ring Charts PowerPoint Templates because if making a mark is your obsession, then let others get Obsessed with you. Download our Circle Charts PowerPoint Templates because this Layout helps you to expand your plans to overcome obstacles and reassure the team that they shall continue to roll along merrily. Use our Marketing PowerPoint Templates because networking is an imperative in todays world. You need to access the views of others. Similarly you need to give access to them of your abilities. Download our Shapes PowerPoint Templates because you should Lay down the fundamentals to build upon.Use these PowerPoint slides for presentations relating to Arrows, business, chart, circle, company,concept, continuity, continuous, cycle,dependency, diagram, direction,dynamic,endless, graph,iteration, iterative, method, path, phase,presentation, process, production,progress, progression, report, rotation,sequence. The prominent colors used in the PowerPoint template are Yellow, Blue, White. People tell us our distinct view of an issue circularly described Flow Process PowerPoint templates are Nostalgic. Professionals tell us our cycle PowerPoint templates and PPT Slides are Vintage. We assure you our distinct view of an issue circularly described Flow Process PowerPoint templates are Graceful. PowerPoint presentation experts tell us our circle PowerPoint templates and PPT Slides are Fashionable. We assure you our distinct view of an issue circularly described Flow Process PowerPoint templates are designed by a team of presentation professionals. People tell us our circle PowerPoint templates and PPT Slides are Upbeat. Expect great things with our Distinct View Of An Issue Circularly Described Flow Process PowerPoint Templates. You will come out on top. Troubleshoot problems with our Distinct View Of An Issue Circularly Described Flow Process PowerPoint Templates. Download without worries with our money back guaranteee. 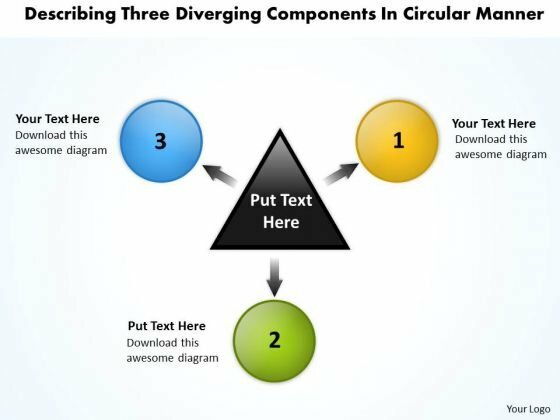 We present our diverging 8 step circular process ppt 2 Relative Flow Arrow Chart PowerPoint templates.Use our Ring Charts PowerPoint Templates because you can Unravel the desired and essential elements of your overall strategy. 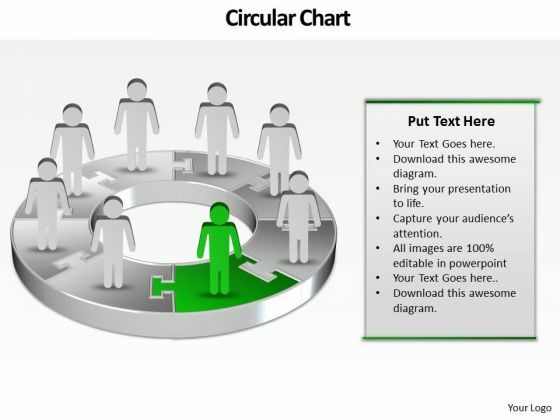 Download and present our Circle Charts PowerPoint Templates because this diagram put it all together to form the complete picture and reach the goal. Use our Process and flows PowerPoint Templates because this template helps you to bring your audiences to the table. Use our Marketing PowerPoint Templates because The marketplace is the merger of your dreams and your ability. Present our Flow charts PowerPoint Templates because they help to lay the base of your trend of thought.Use these PowerPoint slides for presentations relating to Arrows, business, chart, circle, company,concept, continuity, continuous, cycle,dependency, diagram, direction,dynamic,endless, graph,iteration, iterative, method, path, phase,presentation, process, production,progress, progression, report, rotation,sequence. The prominent colors used in the PowerPoint template are Yellow, White, Black. People tell us our diverging 8 step circular process ppt 2 Relative Flow Arrow Chart PowerPoint templates are designed by professionals Professionals tell us our cycle PowerPoint templates and PPT Slides are Adorable. We assure you our diverging 8 step circular process ppt 2 Relative Flow Arrow Chart PowerPoint templates are designed by professionals PowerPoint presentation experts tell us our cycle PowerPoint templates and PPT Slides are Elegant. 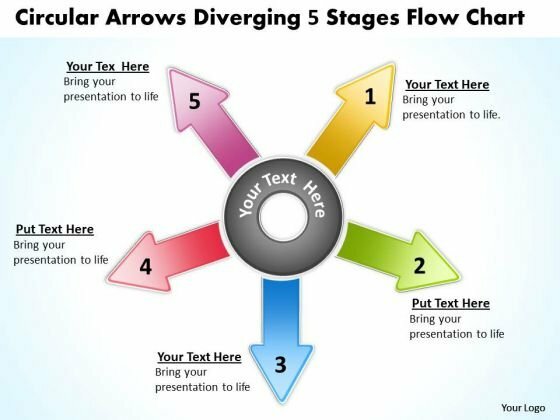 We assure you our diverging 8 step circular process ppt 2 Relative Flow Arrow Chart PowerPoint templates are designed to make your presentations professional. People tell us our chart PowerPoint templates and PPT Slides are Stylish. Build on your dreams with our Diverging 8 Step Circular Process Ppt 2 Relative Flow Arrow Chart PowerPoint Templates. They provide a cementing factor. Present to top tier executives with our Diverging 8 Step Circular Process Ppt 2 Relative Flow Arrow Chart PowerPoint Templates. They will make you look good. We present our diverging 11 steps around globe process flow Circular Arrow Network PowerPoint templates.Present our Ring Charts PowerPoint Templates because you have examined every element down to the finest detail. Use our Circle Charts PowerPoint Templates because Our PowerPoint Templates and Slides are aesthetically designed to attract attention. We gaurantee that they will grab all the eyeballs you need. Present our Process and flows PowerPoint Templates because it enlightens your team and colleagues on the critical factors involved. Use our Marketing PowerPoint Templates because customer satisfaction is a mantra of the marketplace. Building a loyal client base is an essential element of your business. Present our Flow charts PowerPoint Templates because this template with an image of helps you chart the course of your presentation.Use these PowerPoint slides for presentations relating to Arrows, business, chart, circle, company,concept, continuity, continuous, cycle,dependency, diagram, direction,dynamic,endless, graph,iteration, iterative, method, path, phase,presentation, process, production,progress, progression, report, rotation,sequence. The prominent colors used in the PowerPoint template are Green, Blue, White. People tell us our diverging 11 steps around globe process flow Circular Arrow Network PowerPoint templates look good visually. Professionals tell us our circle PowerPoint templates and PPT Slides are Sparkling. We assure you our diverging 11 steps around globe process flow Circular Arrow Network PowerPoint templates are Nice. PowerPoint presentation experts tell us our concept PowerPoint templates and PPT Slides are Wistful. We assure you our diverging 11 steps around globe process flow Circular Arrow Network PowerPoint templates are Chic. People tell us our circle PowerPoint templates and PPT Slides will help you be quick off the draw. Just enter your specific text and see your points hit home. Our Diverging 11 Steps Around Globe Process Flow Circular Arrow Network PowerPoint Templates act like a consultant. They advise on the arrangement of your thoughts. Fan your dreams with our Diverging 11 Steps Around Globe Process Flow Circular Arrow Network PowerPoint Templates. Dare to achieve with your thoughts. We present our diverging 11 steps around globe process flow Circular Diagram PowerPoint Slides.Use our Ring Charts PowerPoint Templates because this is an excellent slide to detail and highlight your thought process, your views and your positive expectations.. Use our Circle Charts PowerPoint Templates because in our day to day pursuits we tend to overlook the fundamentals. Present our Process and flows PowerPoint Templates because you have developed a vision of where you want to be a few years from now. Download our Business PowerPoint Templates because you have had your share of being a goldfish in a small bowl.you are ready to launch out and spread your wings. Download and present our Flow charts PowerPoint Templates because they will Amplify your thoughts via our appropriate templates.Use these PowerPoint slides for presentations relating to Arrows, business, chart, circle, company,concept, continuity, continuous, cycle,dependency, diagram, direction,dynamic,endless, graph,iteration, iterative, method, path, phase,presentation, process, production,progress, progression, report, rotation,sequence. The prominent colors used in the PowerPoint template are Blue , White, Gray. People tell us our diverging 11 steps around globe process flow Circular Diagram PowerPoint Slides will get their audience's attention. Professionals tell us our cycle PowerPoint templates and PPT Slides are Liberated. We assure you our diverging 11 steps around globe process flow Circular Diagram PowerPoint Slides are No-nonsense. PowerPoint presentation experts tell us our chart PowerPoint templates and PPT Slides are Clever. We assure you our diverging 11 steps around globe process flow Circular Diagram PowerPoint Slides will make you look like a winner. People tell us our concept PowerPoint templates and PPT Slides are Luxuriant. Our Diverging 11 Steps Around Globe Process Flow Circular Diagram PowerPoint Slides will advocate your candidature. They will demonstrate how you fit the bill. Revitalize your team with our Diverging 11 Steps Around Globe Process Flow Circular Diagram PowerPoint Slides. Download without worries with our money back guaranteee. We present our diverging 11 steps around globe process flow Circular Layout Chart PowerPoint templates.Download our Globe PowerPoint Templates because as a result we often end up with errors. Download and present our Business PowerPoint Templates because you are ready to flap your wings and launch off. All poised are you to touch the sky with glory. Download and present our Circle Charts PowerPoint Templates because It can Bubble and burst with your ideas. Use our Process and flows PowerPoint Templates because you will surely see all making the grade. Present our Flow charts PowerPoint Templates because you can present your opinions in this field using our impressive templates.Use these PowerPoint slides for presentations relating to Arrows, business, chart, circle, company,concept, continuity, continuous, cycle,dependency, diagram, direction,dynamic,endless, graph,iteration, iterative, method, path, phase,presentation, process, production,progress, progression, report, rotation,sequence. The prominent colors used in the PowerPoint template are Yellow, Blue, Gray. People tell us our diverging 11 steps around globe process flow Circular Layout Chart PowerPoint templates are Awesome. Professionals tell us our cycle PowerPoint templates and PPT Slides are Splendid. We assure you our diverging 11 steps around globe process flow Circular Layout Chart PowerPoint templates are Tasteful. PowerPoint presentation experts tell us our company PowerPoint templates and PPT Slides are Breathtaking. We assure you our diverging 11 steps around globe process flow Circular Layout Chart PowerPoint templates will make the presenter successul in his career/life. People tell us our concept PowerPoint templates and PPT Slides are Tasteful. Courageously battle controversy with our Diverging 11 Steps Around Globe Process Flow Circular Layout Chart PowerPoint Templates. Your thoughts will resolve the dichotomy. Our Diverging 11 Steps Around Globe Process Flow Circular Layout Chart PowerPoint Templates define the standards. Like you they excel at what they do. We present our diverging 11 steps around globe process flow Circular Motion Diagram PowerPoint templates.Download our Globe PowerPoint Templates because it gives you really bright ideas. Download and present our Business PowerPoint Templates because a brainwave has occurred to you after review. You know just how to push the graph skyward. Download our Circle Charts PowerPoint Templates because this is the unerring accuracy in reaching the target. the effortless ability to launch into flight. Present our Process and flows PowerPoint Templates because this template helps you to bring your audiences to the table. Present our Flow charts PowerPoint Templates because you have a good grasp of the essentials of such a venture. Alternate energy presents an array of opportunities.Use these PowerPoint slides for presentations relating to Arrows, business, chart, circle, company,concept, continuity, continuous, cycle,dependency, diagram, direction,dynamic,endless, graph,iteration, iterative, method, path, phase,presentation, process, production,progress, progression, report, rotation,sequence. The prominent colors used in the PowerPoint template are Green, Blue, Black. People tell us our diverging 11 steps around globe process flow Circular Motion Diagram PowerPoint templates are Nifty. Professionals tell us our continuous PowerPoint templates and PPT Slides are Beautiful. We assure you our diverging 11 steps around globe process flow Circular Motion Diagram PowerPoint templates are Efficacious. PowerPoint presentation experts tell us our company PowerPoint templates and PPT Slides are Whimsical. We assure you our diverging 11 steps around globe process flow Circular Motion Diagram PowerPoint templates are Spectacular. People tell us our cycle PowerPoint templates and PPT Slides are Fabulous. Exhort your team with our Diverging 11 Steps Around Globe Process Flow Circular Motion Diagram PowerPoint Templates. Urge them on to go one better. Your audience will love what they are looking at. Impress them with our Diverging 11 Steps Around Globe Process Flow Circular Motion Diagram PowerPoint Templates. You will be at the top of your game. We present our diverging 11 steps around globe process flow Circular Network PowerPoint templates.Download our Globe PowerPoint Templates because this Layout helps you to expand your plans to overcome obstacles and reassure the team that they shall continue to roll along merrily. Download and present our Business PowerPoint Templates because you have had your share of being a goldfish in a small bowl.you are ready to launch out and spread your wings. Present our Circle Charts PowerPoint Templates because you can Set out the goals and your plan of action for teamwork. Present our Process and flows PowerPoint Templates because this diagram provides range of options to garner your interest. Download and present our Shapes PowerPoint Templates because you have the plans ready for them to absorb and understand.Use these PowerPoint slides for presentations relating to Arrows, business, chart, circle, company,concept, continuity, continuous, cycle,dependency, diagram, direction,dynamic,endless, graph,iteration, iterative, method, path, phase,presentation, process, production,progress, progression, globe,report, rotation,sequence. The prominent colors used in the PowerPoint template are Yellow, Blue, White. People tell us our diverging 11 steps around globe process flow Circular Network PowerPoint templates are Efficient. Professionals tell us our company PowerPoint templates and PPT Slides are Charming. We assure you our diverging 11 steps around globe process flow Circular Network PowerPoint templates are Nostalgic. PowerPoint presentation experts tell us our company PowerPoint templates and PPT Slides are Enchanting. We assure you our diverging 11 steps around globe process flow Circular Network PowerPoint templates are Fashionable. People tell us our cycle PowerPoint templates and PPT Slides are Elegant. Search everywhere but find it here. Our Diverging 11 Steps Around Globe Process Flow Circular Network PowerPoint Templates catalogue will have it right there. Your assessment will be the deciding factor. 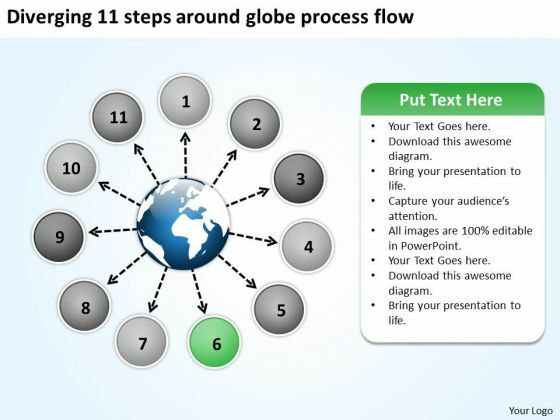 Help the audience figure it out with our Diverging 11 Steps Around Globe Process Flow Circular Network PowerPoint Templates. We present our diverging 11 steps around globe process flow Cycle Network PowerPoint Slides.Download our Globe PowerPoint Templates because using our templates for your colleagues will impart knowledge to feed. Use our Business PowerPoint Templates because infrastructure growth is an obvious requirement of today.inform your group on how exactly this potential is tailor made for you. Use our Circle Charts PowerPoint Templates because sprout your thoughts into the minds of your colleagues. Use our Process and flows PowerPoint Templates because you understand the ailment and how to fight it. Download our Marketing PowerPoint Templates because networking is an imperative in todays world. You need to access the views of others. Similarly you need to give access to them of your abilities.Use these PowerPoint slides for presentations relating to Arrows, business, chart, circle, company,concept, continuity, continuous, cycle,dependency, diagram, direction,dynamic,endless, graph,iteration, iterative, method, path, phase,presentation, process, production,progress, progression, globe,report, rotation,sequence. The prominent colors used in the PowerPoint template are Green, Blue, Black. People tell us our diverging 11 steps around globe process flow Cycle Network PowerPoint Slides are Classic. Professionals tell us our chart PowerPoint templates and PPT Slides will make you look like a winner. We assure you our diverging 11 steps around globe process flow Cycle Network PowerPoint Slides are Elegant. PowerPoint presentation experts tell us our cycle PowerPoint templates and PPT Slides are Stylish. We assure you our diverging 11 steps around globe process flow Cycle Network PowerPoint Slides are Breathtaking. People tell us our company PowerPoint templates and PPT Slides are Romantic. Be the executive with our Diverging 11 Steps Around Globe Process Flow Cycle Network PowerPoint Slides. They will project your authority. 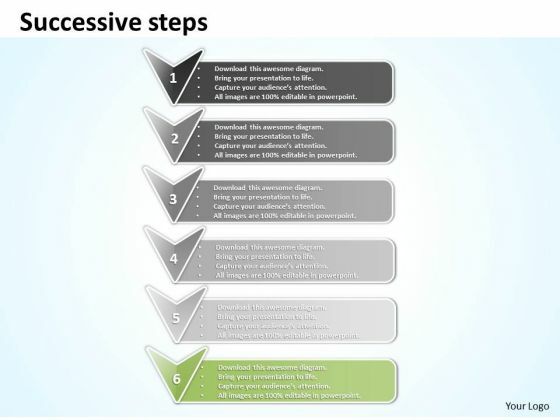 Our Diverging 11 Steps Around Globe Process Flow Cycle Network PowerPoint Slides make efficient delivery boys. Your thoughts will reach in excellent condition. 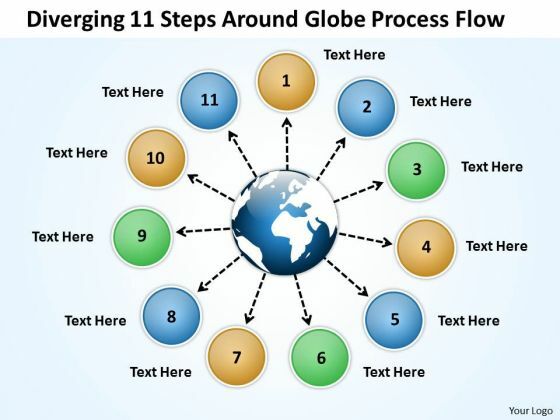 We present our diverging 11 steps around globe process flow Cycle PowerPoint Slides.Download and present our Globe PowerPoint Templates because you have imbibed from this fountain of ideas and developed some worthwhile views. Download our Business PowerPoint Templates because you are ready to flap your wings and launch off. All poised are you to touch the sky with glory. Use our Circle Charts PowerPoint Templates because this PPt slide helps you to measure key aspects of the current process and collect relevant data. Present our Process and flows PowerPoint Templates because this diagram helps you to show goal also clearly etched in your mind. Download our Shapes PowerPoint Templates because you are aware of some pitfalls ahead where you need to be cautious not to overrun and avoid a stall.Use these PowerPoint slides for presentations relating to Arrows, business, chart, circle, company,concept, continuity, continuous, cycle,dependency, diagram, direction,dynamic,endless, graph,iteration, iterative, method, path, phase,presentation, process, production,progress, progression, globe,report, rotation,sequence. The prominent colors used in the PowerPoint template are Gray, Black, White. People tell us our diverging 11 steps around globe process flow Cycle PowerPoint Slides are Radiant. Professionals tell us our concept PowerPoint templates and PPT Slides are Fancy. We assure you our diverging 11 steps around globe process flow Cycle PowerPoint Slides are Dynamic. PowerPoint presentation experts tell us our concept PowerPoint templates and PPT Slides are Clever. We assure you our diverging 11 steps around globe process flow Cycle PowerPoint Slides are Nice. People tell us our concept PowerPoint templates and PPT Slides are Detailed. Add class with our Diverging 11 Steps Around Globe Process Flow Cycle PowerPoint Slides. You will come out on top. Construct an enviable career for yourself. Lay the foundation with our Diverging 11 Steps Around Globe Process Flow Cycle PowerPoint Slides. We present our in single business powerpoint theme procedure Circular Arrow Diagram Slides.Download and present our Arrows PowerPoint Templates because they help to focus the thoughts of your listeners. Download and present our Business PowerPoint Templates because your thoughts are pointed and sharp as arrows. Use our Signs PowerPoint Templates because they help to focus the thoughts of your listeners. Download our Shapes PowerPoint Templates because Our PowerPoint Templates and Slides are conceived by a dedicated team. Use them and give form to your wondrous ideas. Download our Spheres PowerPoint Templates because this PPt slide highlights any anticipated problems, shortfalls or weak areas.Use these PowerPoint slides for presentations relating to Arrows, Business, Chart, Circle, Company, Concept, Continuity, Continuous, Cycle, Dependency, Diagram, Direction, Dynamic, Feeds, Graph, Iteration, Iterative, Method, Path, Phase, Presentation, Process, Production, Progress, Progression, Report, Rotation, Sequence, Success. The prominent colors used in the PowerPoint template are Red, Black, Gray. Professionals tell us our in single business powerpoint theme procedure Circular Arrow Diagram Slides are Great. You can be sure our Concept PowerPoint templates and PPT Slides are Magical. Customers tell us our in single business powerpoint theme procedure Circular Arrow Diagram Slides are Swanky. Professionals tell us our Chart PowerPoint templates and PPT Slides are Stylish. People tell us our in single business powerpoint theme procedure Circular Arrow Diagram Slides are Youthful. People tell us our Cycle PowerPoint templates and PPT Slides are Adorable. Start accelerating revenue growth with our In Single Business PowerPoint Theme Procedure Circular Arrow Diagram Slides. They will make you look good. 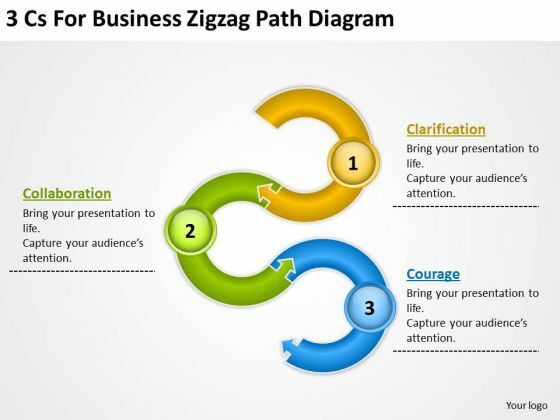 Exhort your team with our In Single Business PowerPoint Theme Procedure Circular Arrow Diagram Slides. Urge them on to go one better. 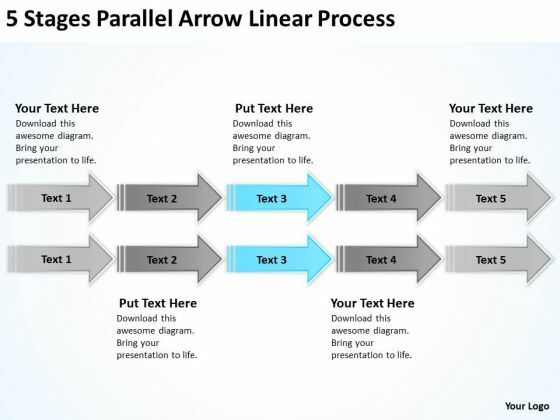 We present our arrow shapes for powerpoint linear process templates backgrounds slides.Download and present our Arrows PowerPoint Templates because It will get your audience in sync. Download and present our Process and Flows PowerPoint Templates because You can Zap them with our PowerPoint Templates and Slides. See them reel under the impact. Download our Flow Charts PowerPoint Templates because You should Throw the gauntlet with our PowerPoint Templates and Slides. They are created to take up any challenge. Download our Marketing PowerPoint Templates because Our PowerPoint Templates and Slides will let you meet your Deadlines. Download our Steps PowerPoint Templates because Our PowerPoint Templates and Slides will steer your racing mind. Hit the right buttons and spur on your audience.Use these PowerPoint slides for presentations relating to Arrows, business, chart, company, concept, continuity, continuous, cycle, diagram,direction, dynamic, graph, iteration, iterative, method, path, phase, presentation,process, production, progress, progression, recycle, recycling, report, rotation,sequence, stage, steps, succession, vector. The prominent colors used in the PowerPoint template are Blue light, Gray, White. The feedback we get is that our arrow shapes for powerpoint linear process templates backgrounds slides are incredible easy to use. Professionals tell us our concept PowerPoint templates and PPT Slides are effectively colour coded to prioritise your plans They automatically highlight the sequence of events you desire. Use our arrow shapes for powerpoint linear process templates backgrounds slides will save the presenter time. Presenters tell us our concept PowerPoint templates and PPT Slides are visually appealing. You can be sure our arrow shapes for powerpoint linear process templates backgrounds slides effectively help you save your valuable time. PowerPoint presentation experts tell us our diagram PowerPoint templates and PPT Slides will help you be quick off the draw. Just enter your specific text and see your points hit home. Do competitive market positioning with our Arrow Shapes For PowerPoint Linear Process Templates Backgrounds Slides. They will make you look good. Substantiate your exposition with our Arrow Shapes For PowerPoint Linear Process Templates Backgrounds Slides. They will strengthen the effect of your effort. 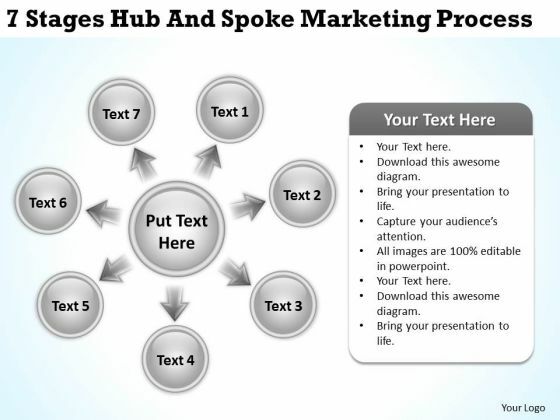 We present our business diagram examples 7 stages hub and spoke marketing process ppt PowerPoint Slides.Download our Communication PowerPoint Templates because Our PowerPoint Templates and Slides will let you Hit the target. Go the full distance with ease and elan. Download and present our Business PowerPoint Templates because Timeline crunches are a fact of life. Meet all deadlines using our PowerPoint Templates and Slides. Download and present our Circle Charts PowerPoint Templates because Our PowerPoint Templates and Slides has conjured up a web of all you need with the help of our great team. Use them to string together your glistening ideas. Download our Arrows PowerPoint Templates because It will Raise the bar of your Thoughts. They are programmed to take you to the next level. Use our Process and Flows PowerPoint Templates because It can Conjure up grand ideas with our magical PowerPoint Templates and Slides. Leave everyone awestruck by the end of your presentation.Use these PowerPoint slides for presentations relating to Arrows, Business, Chart, Circle, Company, Concept, Continuity, Continuous, Cycle, Dependency, Diagram, Direction, Dynamic, Endless, Feeds, Graph, Iteration, Iterative, Method, Path, Phase, Presentation, Process, Production, Progress, Progression, Report, Rotation, Sequence, Succession, Vector. The prominent colors used in the PowerPoint template are White, Gray, Black. Present your views with our Business Diagram Examples 7 Stages Hub And Spoke Marketing Process Ppt PowerPoint Slides. You will come out on top. Honest effort always shows through. Our Business Diagram Examples 7 Stages Hub And Spoke Marketing Process Ppt PowerPoint Slides are a good example. We present our business diagram examples hub and spoke process 3 stages radial PowerPoint template.Download our Communication PowerPoint Templates because They will Put the wind in your sails. Skim smoothly over the choppy waters of the market. Download and present our Business PowerPoint Templates because You should Throw the gauntlet with our PowerPoint Templates and Slides. They are created to take up any challenge. Use our Circle Charts PowerPoint Templates because Our PowerPoint Templates and Slides are effectively colour coded to prioritise your plans They automatically highlight the sequence of events you desire. Download and present our Arrows PowerPoint Templates because Our PowerPoint Templates and Slides provide you with a vast range of viable options. Select the appropriate ones and just fill in your text. Use our Process and Flows PowerPoint Templates because our PowerPoint Templates and Slides will give your ideas the shape.Use these PowerPoint slides for presentations relating to Arrows, Business, Chart, Circle, Company, Concept, Continuity, Continuous, Cycle, Dependency, Diagram, Direction, Dynamic, Endless, Feeds, Graph, Iteration, Iterative, Method, Path, Phase, Presentation, Process, Production, Progress, Progression, Report, Rotation, Sequence, Succession, Vector. The prominent colors used in the PowerPoint template are Blue, Gray, Black. Factor it all in with our Business Diagram Examples Hub And Spoke Process 3 Stages Radial PowerPoint Template. They account for every element. 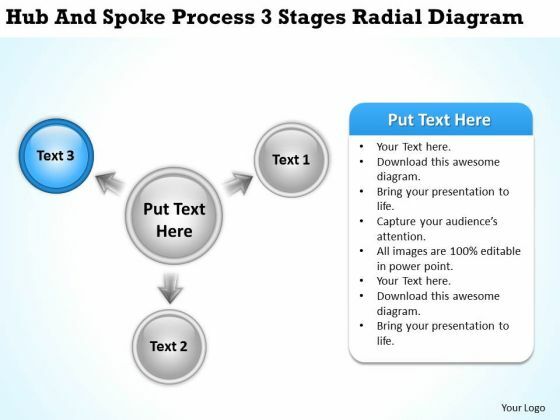 Make the greatest presentation ever with our Business Diagram Examples Hub And Spoke Process 3 Stages Radial PowerPoint Template. Dont waste time struggling with PowerPoint. Let us do it for you.